It was just a few years back that director Brad Peyton, fresh off the box office success of his second feature film, Journey 2: The Mysterious Island, signed on to develop a feature film based on DC Comics’ intergalactic antihero, Lobo. Word even followed that the film, to be produced by Joel Silver, looked like it was going to star Journey‘s Dwayne Johnson as the Main Man. Although Johnson and Peyton did reteam, their second project together became this month’s disaster actioner San Andreas instead. Meanwhile, the big screen DC Universe was officially revealed last October without a Czarnian in sight. Unfortunately for the project, it sounds like Lobo was put on the back burner at the studio, despite having a completed screenplay. Does that mean that Lobo could return somewhere down the line? Peyton seems optimistic at the prospect. Of course, Johnson has since committed to playing Black Adam in Shazam. 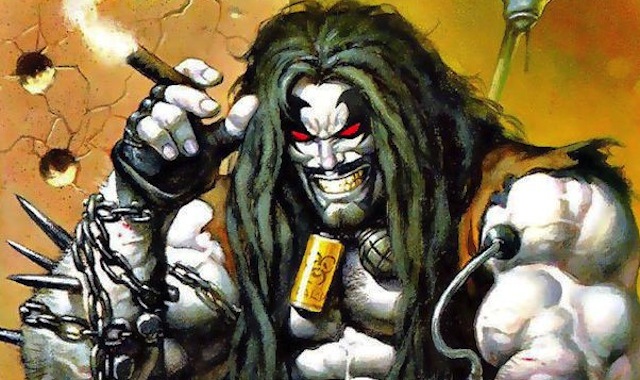 Would you be happy with Johnson playing two roles in the big screen DC Universe or do you think a new Lobo would need to be found? We’ll have lots more from Peyton and the cast of San Andreas soon, so check back and catch the film in 2D and 3D theaters on May 29.